Let’s get together for some fun! We’re creating a set of playful etched wine glasses. Permanently decorated glasses that are dishwasher safe and won’t fade over time, unlike those painted ones! No experience necessary. All materials included to make a set of 4 glasses. $5 for each additional glass. 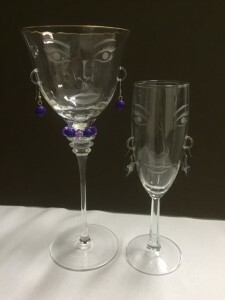 These glasses make great gifts!